I am playing with Photoshop Elements 13, Gimp and Inkscape right now, for differing reasons. 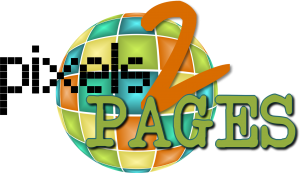 In each of them, I'm trying to create one simple little graphic to replace the header on this site. If I were doing this in Artisan 5, I would have had it done in five minutes. I know those tools and they make sense. But I can't do it in Artisan, because I can't make a transparent background. Yes, I could mostly create it and then work out the details in a different piece of software, but that just doesn't sit well with me. In the process of struggling with these other programs, which I will admit, I would not do unless I loved playing with new software, I realized that there are a multitude of cool things we can do with Artisan that I never even touch on. So I thought to myself, why don't I show you how to replicate what others are doing, but in our software? 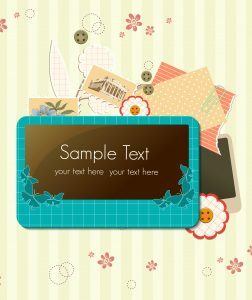 There are tons of blogs about digital scrapbooking that mainly use Photoshop or Photoshop Elements to make the pages. And there's nothing wrong with that. But I've always believed Artisan is the best tool to use specifically because it is made for digital scrapbooking. This is its purpose. Until the first installment, Enjoy!